Jenn is an architect and planner in the Science & Technology practice and leads projects from planning through design and construction. She has a passion for high-performance buildings and uniquely challenging projects and approaches her work in a cohesive manner with an emphasis on sustainability. Jennifer works on some of the firm’s most technical projects. Two projects she is most proud of leading are the largest Net Zero Energy building in the eastern United States, and a first-of-its-kind facility to support Xenotransplantation. Beyond her 14 years of professional experience, Jennifer is an active participant in the Women@EC group which is a collaborative network of women committed to influencing peers, inspiring growth, and realizing the potential for lasting cultural change. 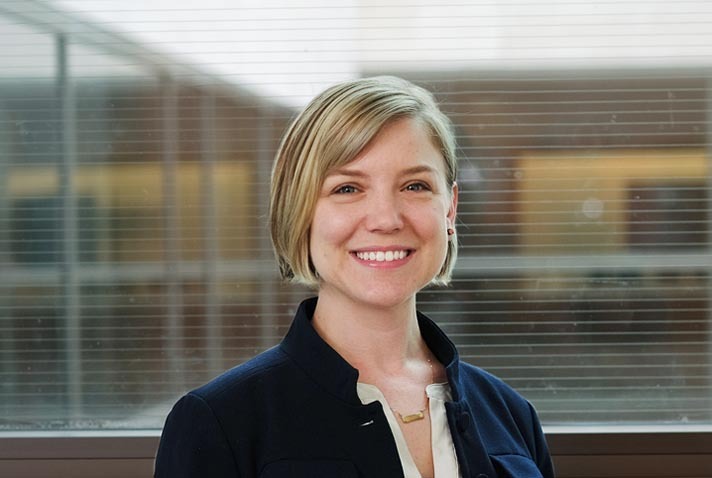 Jennifer holds a Bachelor of Architecture from Drexel University and is a founding member of Philadelphia’s Women in Bio chapter.